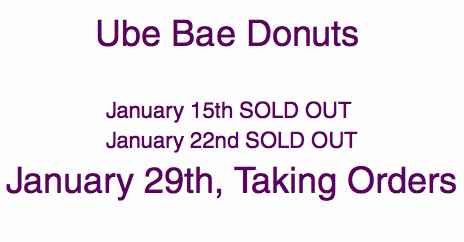 Ube Donuts have made center stage everywhere there is a screen in the culinary world within the past couple of weeks. I first found these out on Facebook from a friend within a day went viral. The Observer and ESPN were making references to these so-called, luxurious delicacies. What is Ube? It is a yam that is widely used in desserts and pastries in the Philippines. You can make anything from jams to cakes to ice cream. 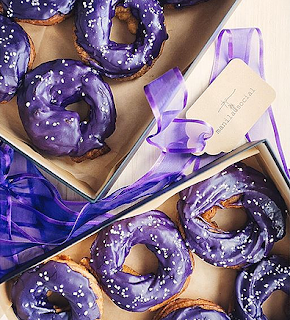 This edible “jewel” is $100 per donut or $1000 per dozen. 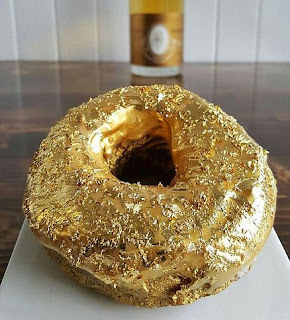 They are made with ube mousse, champagne jelly and covered with champagne icing, sprinkled with 24k gold. Do I need to say more? It’s an exotic piece of culinary luxury that you almost want to find a way to wear it rather than eat it. The question is: Is it worth it? 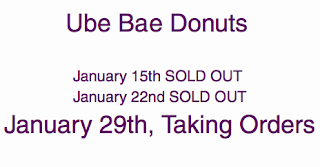 Time will only tell until the day I get to go back to New York and decide to spend $100 on a donut.